Writing @ Bates supports a vibrant culture of writing, reading, and critical thinking at Bates College by supporting students, faculty, and staff in the use of writing across the curriculum. 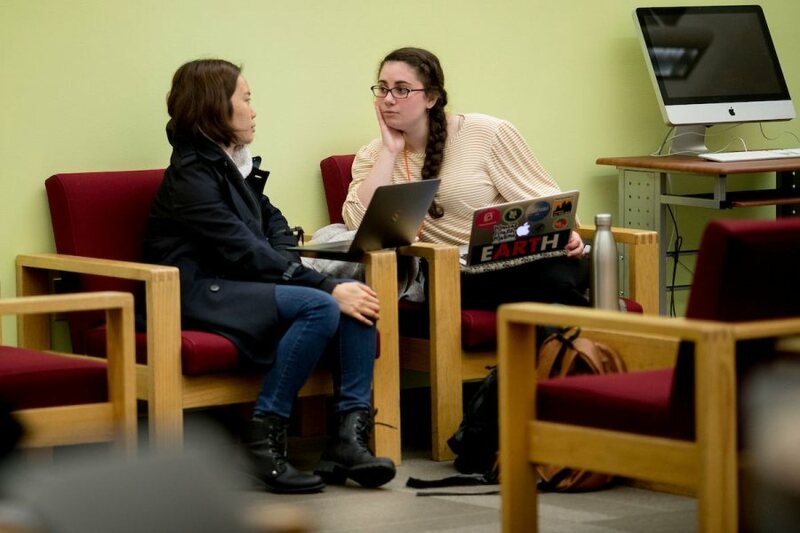 Visiting us in the Writing & Speaking Center on the first floor of Ladd Library, where our Student Resource Representatives can connect Bates students to all of our support resources. Sending us an email at writing@bates.edu to make an appointment with a professional writing specialist, or to ask a question about writing. Giving us a call at (207)786-6106, with any & all questions on our services.